Backyard Bouncers is a party rental company serving all of West Michigan. We are committed to providing safe, clean, and affordable rental equipment. All of our attractions are cleaned before and/or after each rental and are all maintained in a “like new” condition. Backyard Bouncers is a division of ACP Entertainment, Inc. of Byron Center, MI. ACP Entertainment is a Christian based; family owned and operated company committed to providing our customers with the highest quality of equipment and the most dedicated and professional customer service. For more information about ACP Entertainment, please visit www.acpentertainment.com. If your looking for a professional entertainment company with superior service and excellent quality, trust the professionals at Backyard Bouncers of Grand Rapids and ACP Entertainment. 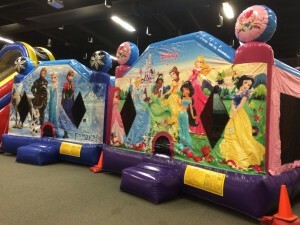 We are your number one source for clean and affordable inflatables, blow ups, bounce houses, jumpers, moonwalks, water slides, fun food machines, mini golf course rental, and carnival games. We look forward to working with you for your next event!